How do you collect data from different sources? How do you extract data from documents? How do you feed your information system? How do your colleagues access company documents by tablet/mobile? What is FTPS + transactions solutions? Currently you have to dig into folders, sub-folders, sub-sub-folders to find your document. Or open all the results the keyword search returns to you until you hit the right one. With DPA you search on all fields you indexed your document on, just like applying filters on spreadsheets. And you get exactly the document you’re looking for + the data from it. Old-School: Most of your data is found on paper. Within DPA create a template for each document type. 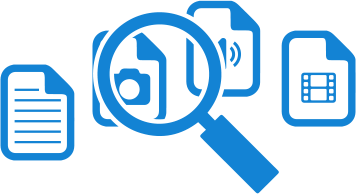 Scan the documents, import them into DPA and let operators capture all needed data. Your data is digitized. Captured data is used as metadata for searching your digital archive or it can be exported for use in other systems. Any paper documents, such as: registration forms, order forms, health records, contracts, CV's, expense reports, timesheets, invoices, and the like. The data entry screen is divided into two parts. The first part shows the image of the document, while the second part shows the fields to be captured. The operation is failsafe with only one button control, no training is needed. Confidential parts of the document can be hidden from the operators. 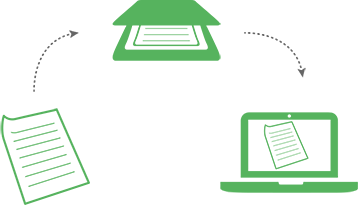 Semi-digital: Your documents and data are scattered around diverse folders on your server(s). Within DPA create desired templates. Import your documents and let your operators index them. All your documents are in one place. Within DPA search for documents by any indexed value or their combination. Major file types, such as: spreadsheets, word documents, presentations, emails, audio files, video files, images, and the like. Users can index and upload desired files from any computer. Users that have the required privileges can search and retrieve documents. Shell: A dedicated software manages your data, but external parties cannot access it. 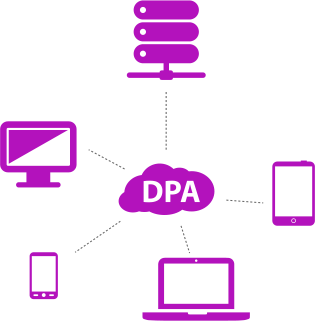 Use DPA as a "data-firewall". Let external parties input data first into DPA, or let them access data only found in DPA. When confirmed that submitted data is clean, migrate the data to your internal systems. 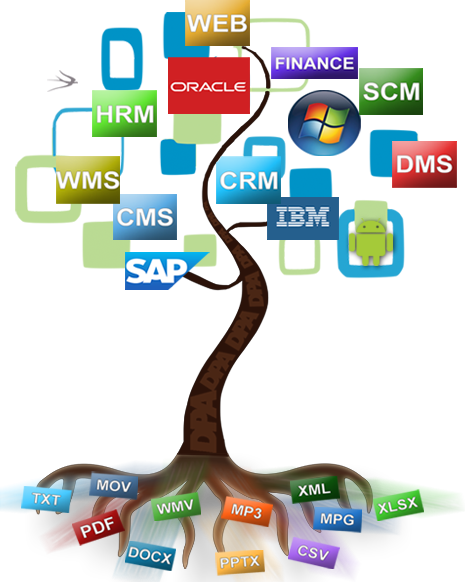 Data originating from external sources, such as: web forms, services, smartphone apps, machine2machine, and the like. Data can be submitted from any platform.